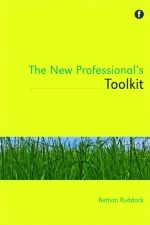 This book is intended to support new information professionals (librarians and archivists). There is no definitive definition of ‘new professionals’, but the target audience would be those who have recently completed a professional qualification; are in their first professional post; or are in approx their first five years post-qualification. It would also be of interest to students on professional courses who are looking to develop themselves and prepare for their first professional post. New professionals in the UK and overseas have recently been the focus of much professional attention, with the formation of groups such as LISNPN, the ARA Section for New Archivists, and the SLA First Five Years initiatives. These groups produce information specifically for new professionals, and give them chance to experience the benefits of engaging with each other. There has been recognition of the benefits that a well-supported and engaged new professional cohort can bring to the information professions as a whole. By drawing in contributions from archivists and records managers as well as librarians, it is hoped that this book will appeal and be of benefit to new information professionals from all sectors. By having contributions written by new professionals, the book becomes a peer-to-peer transfer of knowledge. The focus would be on the UK, but the information should be interesting and applicable to new information professionals worldwide. Estimated total readership would be around 1000, in the UK and overseas.